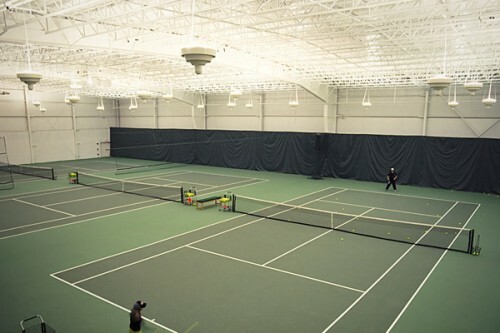 BARNES furnished and installed pre-engineered building by Metallic Buildings consisting of their Long Bay System which clear-spanned the 130′ width plus centered the frames at approximately 55′ intervals between courts for limited structure interference. 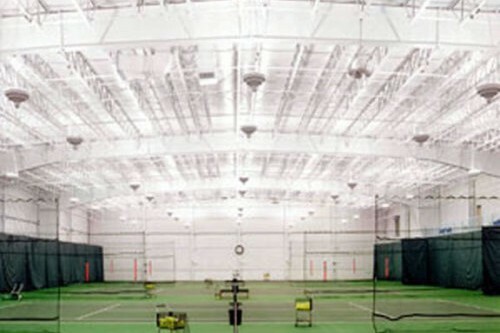 This is a first class tennis facility. 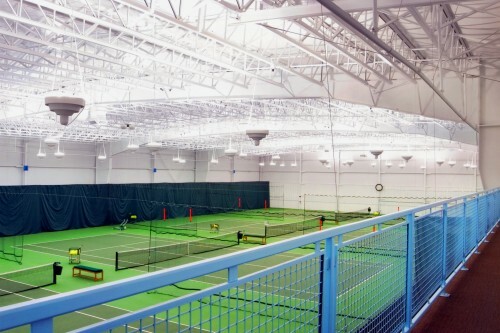 BARNES worked in design phase with general con tractor and architect for structural design aspects of this project. 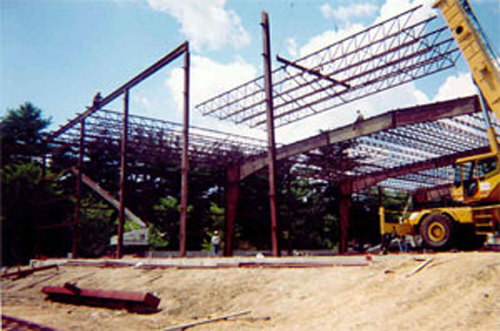 DoubleLok Standing Seam Roof and Reverse R wall system.